The riskiness of an activity is defined as the likelihood times the magnitude of harm that might result from that activity. For example, reckless driving is a high-risk activity because it is likely to cause severe harm. Shaving is a low risk activity, even though it can cause severe harm, because the likelihood of death or mutilation is remote. Likewise, playing the lottery is a low risk activity even though the loss of money is very likely, because this harm is usually inconsequential. From this perspective there are two obvious sources of disagreement surrounding the riskiness of fish farming. One source of disagreement concerns the magnitude of the associated harms. Opponents of fish farming often claim that this activity could result in the destruction of wild salmon runs, for example. This is seen as a severe harm since those runs are economically and socially valuable, and their loss is difficult or impossible to reverse. A second source of disagreement is over the likelihood of those harms. Fish farm opponents argue that aquaculture is likely to result in the loss of wild salmon runs. Aquaculture advocates contest this assessment. There is a third, less obvious source of disagreement over the risks associated with fish farming. Strictly speaking, the very assessment of risk presupposes some set of values. These values can serve as a source of disagreement in their own right. For example, two people might disagree over the value of economic growth or the value of pristine wilderness. Unless one shares these values, activities that threaten these things will not be regarded as harmful or risky. Public debates over the risks associated with fish farming tend to operate within a more simplified framework than the one just outlined. Environmentalists often appeal to the so-called Precautionary Principle (PP) as a tool for assessing risk. In simple terms, the Precautionary Principle states that an action should be avoided if there is even a remote possibility of generating harm. The problem with this principle is that it is excessively conservative. The PP discourages any potentially harmful activity regardless of its likelihood. Hence, this principle discourages many low risk activities. To illustrate, imagine what it would mean to adopt the Precautionary Principle in daily life. This would mean refraining from activities that have the possibility of causing harm. Flying in airplanes, driving to the store, seeking medical treatment, and most recreational pursuits would be ruled out. Clearly, it would not be reasonable to apply this principle on daily basis. It is no surprise that, in applying the Precautionary Principle to aquaculture, FOCS regards this activity as intolerably risky. But why do environmentalists apply this principle to fish farming but not to other aspects of daily life? Are they being consistent? One possibility is that groups like the FOCS assign a high likelihood to the risks associated with fish farming, and that this point is considered too obvious to warrant serious discussion. On this view, there is an implicit judgment of likelihood that determines when the Precautionary Principle is invoked. If one assesses an activity (e.g. flying in an airplane) as low risk, then the PP is not seen as applicable. On the other hand, if an activity is obviously likely to cause harm, then this automatically triggers the PP. One might criticize this model of risk assessment on the grounds that is that it discourages public debate over the likelihood of certain harms. A model which explicitly includes likelihood assessment as a part of the assessment is more transparent. But perhaps the more important question is why do some environmentalists view fish farming as so obviously likely to cause harm? There are numerous possible answers to this question. One answer is that groups like the FOCS have been conditioned by previous experiences with similar industries. Many of the logging practices undertaken on Vancouver Island, for example, were harmful to the pristine forests that environmentalists value. Perhaps this history with other industries motivates a suspicion that fish farming is also likely to cause harm. This would explain why environmentalists selectively appeal to the Precautionary Principle when dealing with this industry and not other aspects of their lives. Another reason that fish farming is "obviously" harmful, from the perspective of some environmentalists, is that there are numerous anecdotal reports of the impact of fish farms on the marine ecosystem. Vivid anecdotes have a lasting impact on the public imagination. Yet another reason that environmentalists might consider it obvious that fish farming is likely to cause harm stems from the track record of this industry. Reports of disease transmission. the excessive use of antibiotics, the destruction of predators, and large scale escapes were once fairly common. If one also assumes that this industry lacks the motivation or ability to improve, then it might seem likely that these harms persist. A further consideration is that a certain amount of misinformation surrounds this industry. There is no shortage of rumors about the negative impacts of fish farming on the environment. Many of these ideas have reached the status of received wisdom in the mind of the general public. They are therefore almost immune to reasonable doubt. Of course, the fish farming industry rejects the Precautionary Principle as an assessment tool. Interestingly, this industry identifies some of the same potential harms as environmentalists. Chief among these is the possibility of disease outbreak. This industry also shares at least some of the same values as environmentalists. Specifically, clean water and minimal ecological impact are valued because they are necessary for the long term viability of this business. Over the short term, severe polluting would draw the attention of DFO regulators and result in fines or loss of their operating license. Of course, some values are not shared with environmentalists. A value in "pristine" wilderness, entirely devoid of human impact, is inconsistent with any amount of fish farming regardless of the magnitude or likelihood of harm. Such incommensurable values are important to identify and distinguish from other potential sources of disagreement. The primary reason that the fish farming industry rejects the Precautionary Principle, however, is because this principle avoids an assessment of the likelihood of potential harms. In fact, from an industry perspective the likelihood of disease transmission and other harms are seen as quite low. Once again, a historical perspective helps to understand this assessment. In recent decades this industry has become much more regulated. 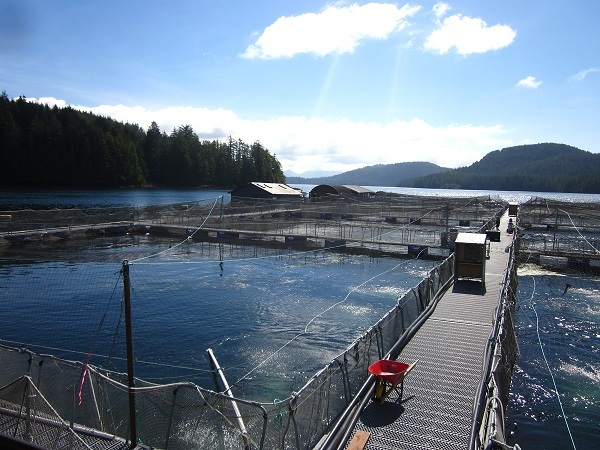 Not only are fish farms monitored by DFO, they now operate under close public scrutiny. From a historical perspective this industry has become much less likely to cause harm and is thereby less risky than in the past. Fish farmers further object to the ambiguity of the PP, in that it fails to explain how much precaution should be used and until what point. They also oppose the PP because it prevents advancement in policy and regulation development (Burnett 2009). Fish farming can also be viewed as a solution to a portion of the world’s problems concerning global food demand. Deciding on an acceptable amount of risk is a difficult task, requiring an open discussion of values as well as an up-to-date assessment of the likelihood and magnitude of potential harms. The Precautionary Principle is a flawed tool for risk assessment because it is excessively conservative. One must apply this principle selectively, or else become paralyzed by even the remote possibility of risk. What then justifies the selective application of this principle to fish farming? Environmentalists assume that this industry is likely to cause harm, perhaps because of a bad history, hearsay, or misinformation. But this assumption needs to be revisited given recent improvements in fish farming practices and increased regulation. This is not to suggest that fish farming in Clayoquot Sound poses an acceptable level of risk. Rather, in order to assess this question one must move beyond the Precautionary Principle and adopt a more transparent risk assessment framework. George, Patterson/. September 1st, 2012. Meeting at Tofino Botanical Gardens – Darwin’s Café (Tofino,BC). Personal Communication. Lewis, D. August 2012. Meeting in Tofino, BC. Personal Communication.